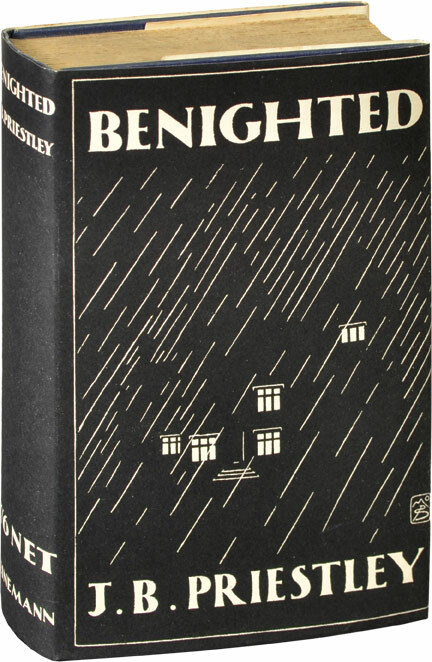 “Benighted”, by J.B. Priestley, 1927 London: William Heinemann, London, 1st edition. I finally got around to watching my DVD of “The Old Dark House” (1932) in it’s entirety. I’ve had it for years and have started it once or twice before, but always seemed to get distracted early on in the film and put it off for later. I’m glad I did finally see it to the end though, because it is well worth being patient and wading through the darkly shot scenes and muffled soundtrack for the great performances and the clever dialog. 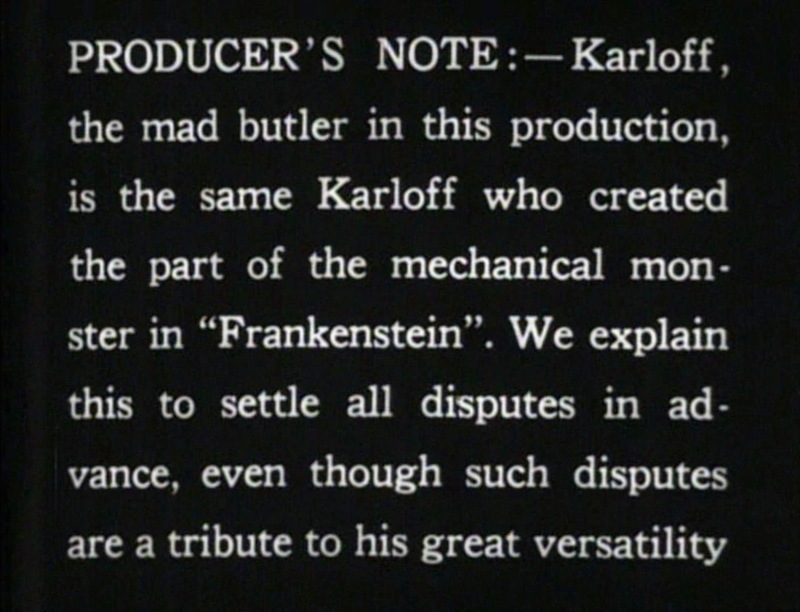 In the audio commentary of the Kino DVD, James Curtis, author of the James Whale biography “A World of Gods and Monsters”, claims that the screenplay by Benn W Levy is more or less faithful to the book, but Whale’s direction changed the tone visually which, along with in the cast’s delivery of the dialog, created a humorous slant which is not evident in the book, “Benighted” by J.B. Priestly on which it was based. The film is a black comedy about some travelers who seek shelter from a storm in an old house in the boonies of Wales. The family inside are all looney and vile and hide dark secrets, which unravel during the course of the night. Directed by James Whale, it features a host of great actors (Boris Karloff, Charles Laughton, Melvyn Douglas, Eva Moore, etc) and is notable for being one of the few pictures to feature the character actor Ernest Thesiger. In fact, Thesiger really makes the movie with his eccentric performance as Horace Femm, the host of the house. 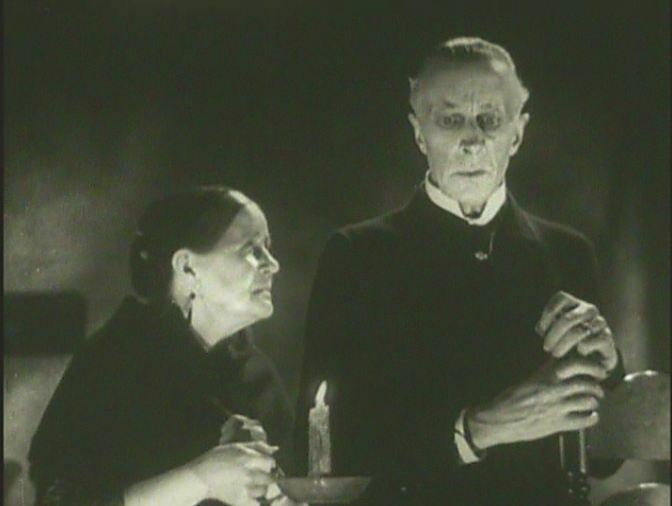 Screencap of Ernest Thesiger from “The Old Dark House”. Horace’s repartee with his sister Rebecca (played by veteran actress Eva Moore) is one of the most amusing parts of the film. She is supposedly hard of hearing and always asks of her brother what everyone is saying, but if he glosses over something or lies about it she always seems to know and calls him out on it. Screencap of Moore & Thesiger. One of Moore’s best scenes, however, is when she harangues the film’s ingenue, Margaret Waverton, portrayed by the lovely Gloria Stuart. When Margaret asks for a private room to change out of her wet clothes Rebecca tells her some of the sordid family history then turns on her saying, “Your wicked too, young and handsome–silly and wicked! You think of nothing but your long straight legs and your white body and how to please your man. You revel in the joys of fleshly love, don’t you?” Pointing to her silky undergarments and fair skin she continues, “That’s fine stuff, but it’ll rot. That’s finer stuff still, but it’ll rot too, in time.” Of course, Margaret is horrified and screams “Don’t! How dare you?” She leaves her then, but catches up with her later on to further brow-beat her when she is innocently making shadows on the wall with her hands. Unfortunately, this poor girl cannot catch a break, as she is also later stalked by a drunken Morgan. 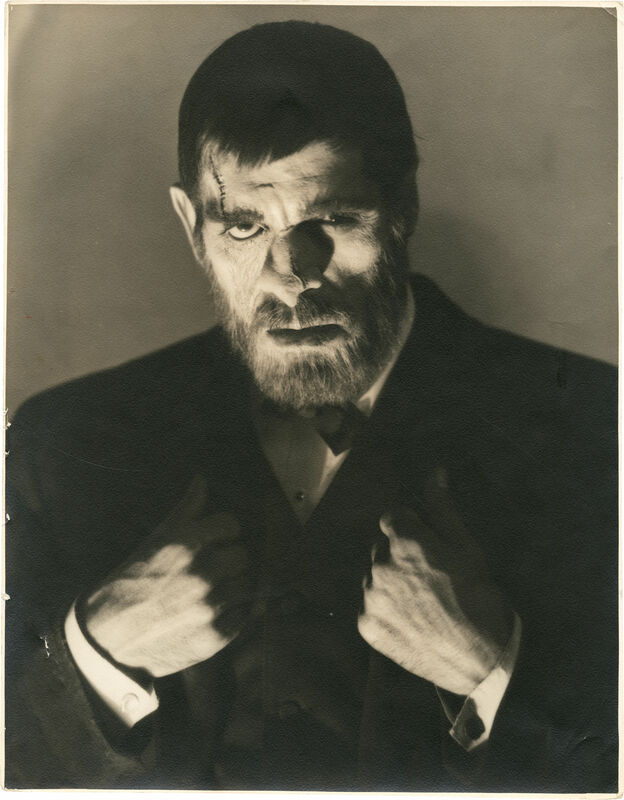 Even though he got top billing, following his success with Frankenstein, one forgets that is is Boris Karloff underneath that scarred hairy visage. Universal even saw fit to put a disclaimer to this effect pointing out that it is indeed Boris underneath all that make up. Screencap of pre-opening credit disclaimer . He lumbers about menacingly enough, but his grunted dialog seems to be dubbed. 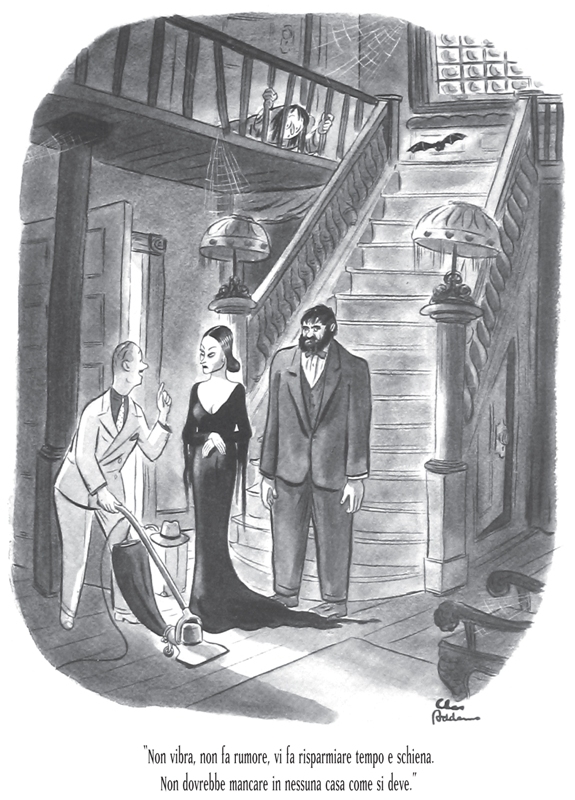 Even so, Karloff’s portrayal of the frightful, hulking manservant Morgan, is noteworthy and was also Chas Addams’ inspiration for Lurch from the Addams Family. 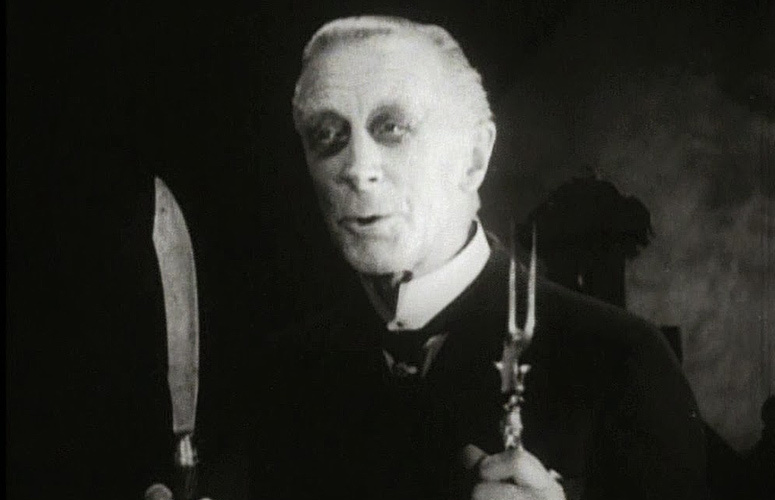 Boris Karloff as Morgan, the mute butler. 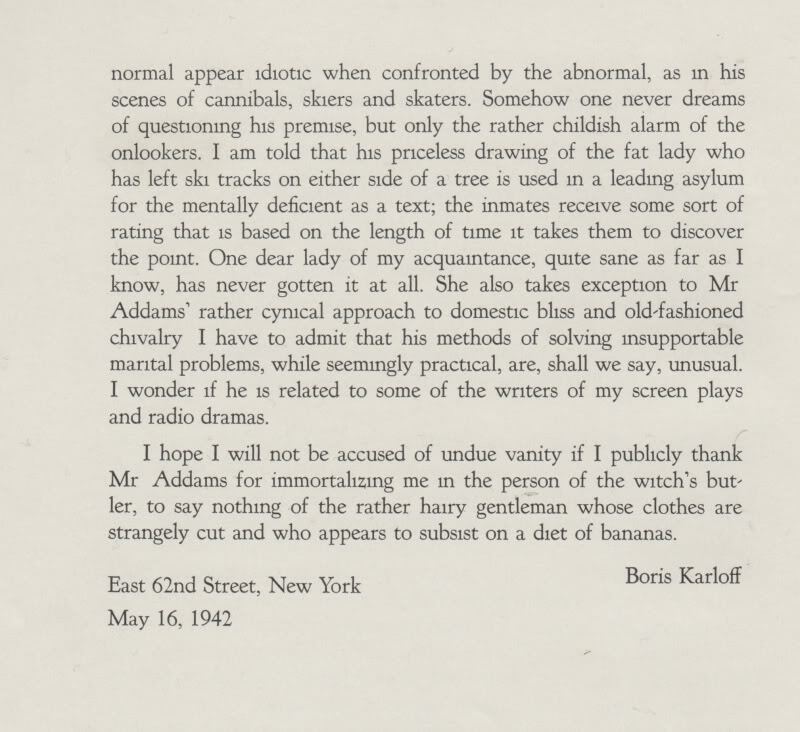 Edit from Karloff’s introduction to “Drawn and Quartered” by Chas Addams. 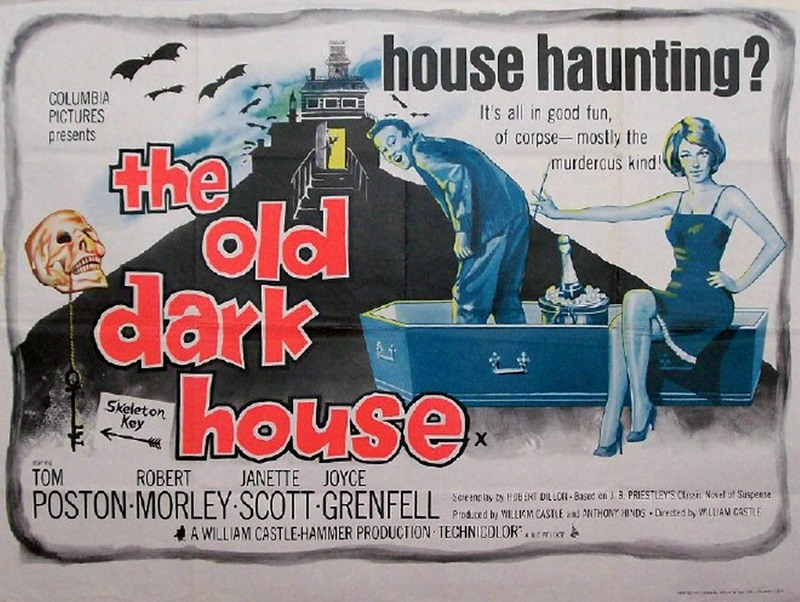 A remake was made in 1963 by William Castle in conjunction with Hammer Films. An odd, but potentially promising pairing, no doubt, yet it seems to have only yielded a slapstick comedy of little merit which has none of the mood nor cleverness of the 1932 original. UK poster for the 1963 remake. 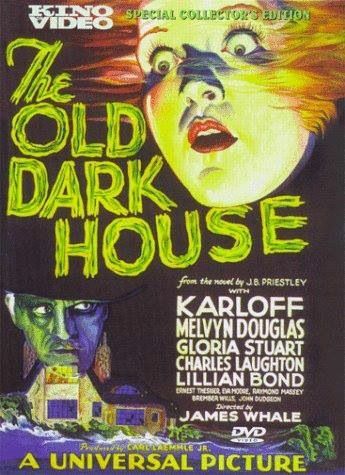 “The Old Dark House” was in danger of being lost until it was saved by television and movie director, and James Whale enthusiast, Curtis Harrington, who befriended Whale in his later years. There is a brief interview with him on the Kino DVD wherein he tells the story of how he came to love horror movies and especially the movies by James Whale. He tells of his acquaintance with Whale and how he rescued the surviving print from Universal’s vault, where it was literally rotting away, and helped restore it through Eastman House. I, for one, am glad he did. “The Old Dark House” DVD from Kino Video.